“I Place my Self at the compassionate heart of God’s Tiferet and affirm the healing and balancing, centering light within me” from Gate to the Heart by R. Zalman Schachter-Shalomi z’l. 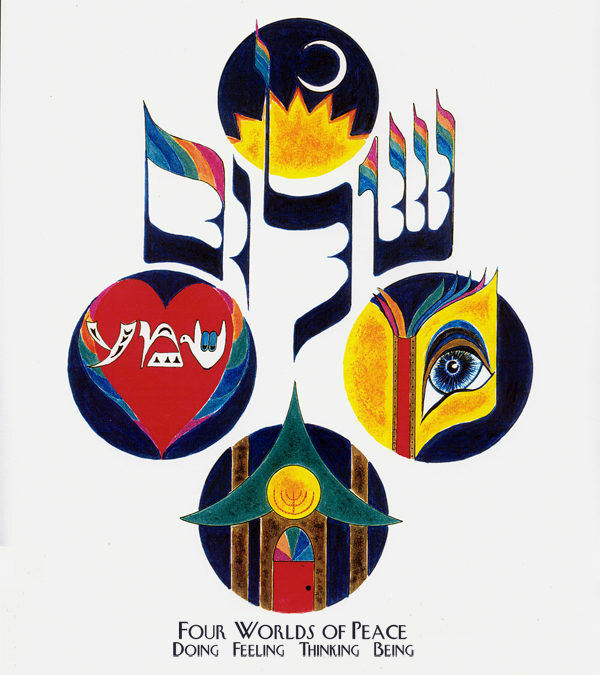 The image “Four Worlds of Peace” reminds of this affirmation. This is week 3 of counting the Omer and we’re focused on Tiferet – compassion and balance.